Cytovance was a contract manufacturer (“CMO”) of mammalian biologic drugs for biotechnology and pharmaceutical companies. The Company specialized in the production of complex and difficult to manufacture therapeutic proteins and monoclonal antibodies from mammalian cell cultures. Cytovance offered a comprehensive and collaborative approach to manufacturing biologics that added significant value by partnering with biopharmaceutical companies to advance their recombinant protein, antibody and cell-based therapeutic products rapidly and cost-effectively from the laboratory bench, through clinical development and to commercial launch in domestic and international markets. In addition to their cGMP manufacturing services, Cytovance offered process development, cGMP cell banking, in-house analytical development and testing and a full complement of client support services. Cytovance had experienced tremendous growth since completing their state-of-the-art facility and bringing on a seasoned management team. In order to maximize the Company’s potential at their current facility, however, Cytovance needed a professional private equity partner to fund facility expansion, assist in recruiting key personnel, help secure a $20 million covenant light loan and expand the equity incentives for management. Great Point Partners invested in Cytovance Biologics in March 2011. 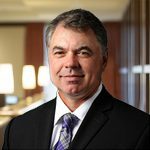 GPP’s Operating Partner, who has 30 years of CFO experience, led a recruiting effort to identify their first CFO, Richard Vaillant from Boston Scientific. GPP also introduced Bernhard Hampl, the former CEO of Eon Labs and the Sandoz Division of Novartis, who became Co-Chairman of the Board and who assisted in strategy development and key customer sales. Great Point identified a growth minded senior lender that provided $20 million of non-dilutive senior debt to fund capital expenditures and working capital. The equity investment from Great Point enabled Cytovance to meet growing client demand for clinical trial and commercial scale cGMP manufacturing by funding facility, service and personnel expansion at its advanced research and manufacturing operation in Oklahoma City.